With customer experience set to overtake price and product as the key brand differentiator by 2020, luxury retailers Fortnum & Mason wanted to ensure the memorable experiences and exceptional customer service it provides enable it to continue to be more relevant to more people, more often. Over the years, Fortnum & Mason has become synonymous with world-class service, and a desire to continually improve its current offering to its customers fuelled this CX transformation. Fortnum & Mason determined that the best way to accomplish this was to capture customer emotion in real-time so that they could understand their customers better and turn their feedback into actionable insight. By getting honest feedback from customers on what they like about their experience, and what could be improved, Fortnum & Mason was able to put itself in a position to make changes to customer experience for the better. In order to do this, Fortnum & Mason enlisted the help of customer engagement specialists, Rant & Rave to implement their Voice of the Customer solution across both in-store and online. This technology enabled the brand to maximise the quantity and quality of its customer feedback, capturing customer sentiment across the entire customer journey (SMS, email and listening posts). Importantly, this has allowed Fortnum & Mason to track guest satisfaction and Net Promoter Score (NPS) on a consistent, continual basis, which has been key to understanding their discerning customer base and has allowed them to make strategic and operational changes to the company. Guests are now able to tell Fortnum’s how they feel at any point in their journey, across any channel, and in their own words; making it easy to share honest feedback on their experience. Moreover, this feedback provides full visibility of customer engagement to all levels of the business; from store managers to the customer service team, all via a dashboard. From this, the company is able to gauge the level of customers satisfaction as well as the Net Promoter Score, which indicates how likely customers are to become brand advocates and recommend the company to a friend. Ultimately, the NPS is a great way for businesses to measure the success of their customer engagement programmes, and highlights how likely they may be to attract new customers, as well as retain current visitors. The result of implementing the Rant & Rave Platform speaks for itself, with the technology playing a key role in improving Fortnum & Mason’s customer-centric approach. Since using the Voice of the Customer solution, Fortnum & Mason has consistently managed to achieve an NPS of over 80 out of 100, meaning that the overwhelming majority of guests enjoy their experience and would happily encourage a friend to visit as well. This is undoubtedly encouraging and scores like this are only possible thanks to Fortnum’s ability to ‘close the loop’ with guests. All customers that give a score of 7 or lower are offered a call back within 24 hours to talk through how their experience could have been improved and to listen to any concerns they may have. The end result of this has been that 25 percent of customers who go through the ‘close the loop’ process, return to purchase again and give a higher score following their interaction. 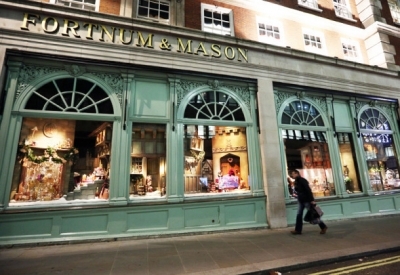 Through their work with Rant & Rave, Fortnum & Mason has been able to meet their goal of consistently delivering an exceptional customer experience. The ability to close the loop with customers who aren’t delighted with their experience, has allowed them to anticipate what their customers want or need so that they can deliver on it going forward.